This first floor three bedroom maisonette is situated in a popular close off Southview Avenue, that in turn connects with Dudden Hill Lane. Neasden Town Centre and Underground Station are within walking distance and the area is also served by Dollis Hill Station and the centre of Willesden. Good road links include the A406 North Circular Road that connects with the M1 and Motorway networks. 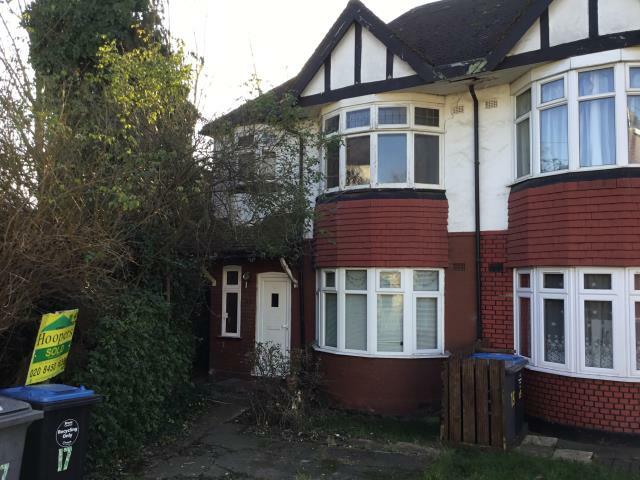 The property has gas central heating although it is in need of complete updating and will be of interest to investment purchasers and owner/occupiers looking to put their stamp on a home. The property has a share of the freehold and is sold with vacant possession. There is a section of garden to the rear and there may be scope for a loft extension subject to obtaining any necessary consent that may be required. Entance Hall, Living Room, Kitchen, Bathroom, Bedroom One, Bedroom Two, Bedroom three, Rear Addition, Section of Garden. We understand that the flat is held on a lease of 999 years from circa 1930 although in the meantime the Freehold has been purchased and as such is sold with a share of the Freehold.